Tags: HP, Black LaserJet Toner, Cartridge, HP 05A . Average cartridge yields 2,300 standard pages. Declared yield value in accordance with ISO/IEC 19752. Actual yields vary considerably based on images printed and other factors. Product DetailsYields up to 6,500 pages per cartridgeThis cartridge is not compatible with the HP LaserJet P2035 or P2035N printerSave 42% per page&nb.. Features As you print more, you can save more. 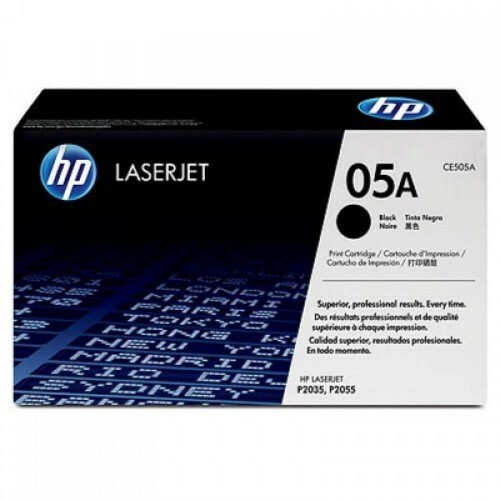 With HP LaserJet Print Cartridge Dual Packs, you can reduce your company's printing costs without sa..
OverviewHP’s low-priced HP Original LaserJet Toner cartridges print reliably. You’ll get standout prints, dependable performance, and brand authentica..